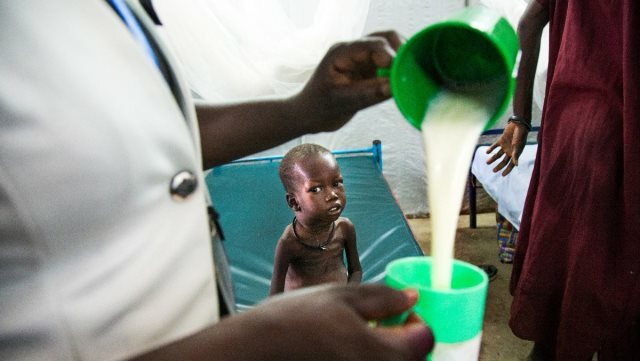 Save the children has warned that 20,000 children are at risk of dying from hunger-related conditions before the end of this year in the country. Early this month, the National Bureau of Statistics and UN agencies released a report warning that parts of greater Jonglei, Unity, Upper Nile, and Western Bahr El Ghazal states are expected to face acute food shortages early next year. The report indicated that over six million people face Phase 3 food crises which are classified under the Integrated Food Security as the worst acute food insecurity. In a statement seen by Eye Radio over the weekend, the agency said the children are among 270,000 who are severely malnourished and at risk of starvation in the four regions. The agency attributes this to continuing conflict in the areas it said is limiting access by humanitarian organisations. Authorities in the respective states are yet to comment on the report.